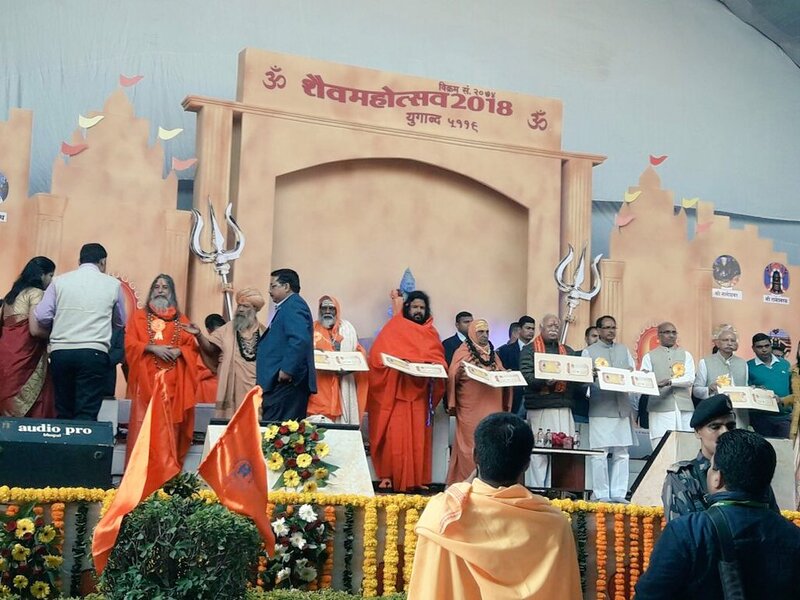 Three-day convention ‘Shaiv Mahotsav concluded at Ujjain on 7th January, 2018 at Ujjain. 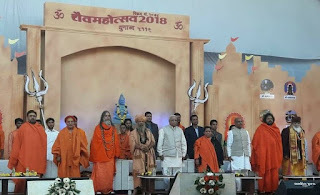 RSS Sarsanghachalak Shri Mohan Bhagwat inaugurated the event along with Shri Shivraj Singh Chouhan, Madhya Pradesh Chief Minister, Shankaracharya of Bhanpura Peeth, Swami Divyanand Tirth. 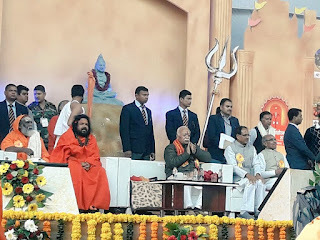 Speaking in the inaugural function of the three-day 'Shaiv Mahotsav' here, Bhagwat said, "The footprints of our culture are found all over the world. The Indian culture is universal and teaches the art of living to entire world. Lord Shiva is the symbol of world unity. It is our duty to guide the world. The first name of Lord Shiva was Rudra, which means power. There is no point in being Shiva without power. Rudra was Shiva who destroyed all evil powers. The character of a nation or an individual should be like Shiva. There is no need of war for peace. For (achieving) this, all selfishness needs to be sacrificed," he said. The ‘Shaiv Kala Sangam’ exhibition based on Lord Shiva has a detailed description of his eternal forms. Shaiv sects established in ancient India have been exhibited through pictures. 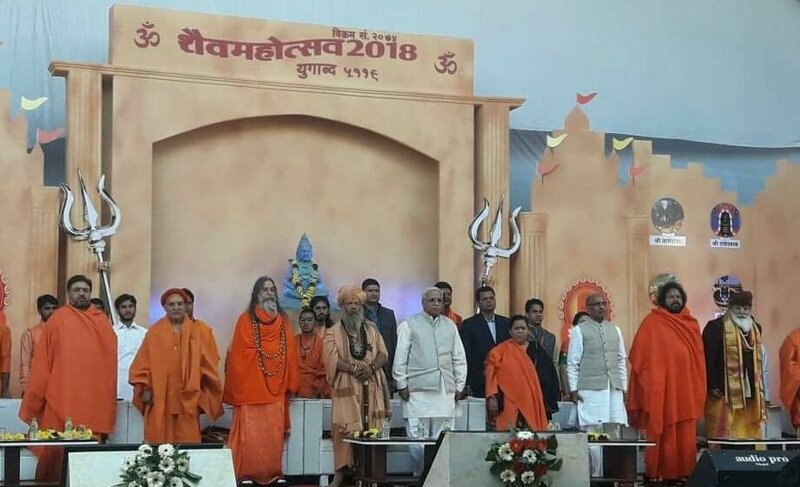 The pictures on the significance of 12 Jyotirlinga and ancient beliefs have been beautifully exhibited. In this, the south-facing self-proclaimed Jyotirlinga of Mahakaleshwar, Somnath situated in Prabhas area of Saurashtra Gujarat, Mallikarjuna on the banks of Krishna river in Kurnool district of Andhra Pradesh, Omkareshwar in the middle Narmada on Madhanta mountain in Khandwa district, Kedarnath in Rudraprayag district of Uttarakhand, Bhimashankar on Sahyadri mountain along the banks of river Bhima in Maharashtra, Vishwanath in Varanasi Uttar Pradesh, Triyambakeshwar on the banks of Godavari in Nashik, Maharashtra, Vaidyanath Jyotirlinga near Parli village, Maharashtra, Nageshwar in Hingoli Maharashtra, Rameshwar and Gushmeshwar jyotirlinga in Tamil Nadu have been presented beautifully. A postal stamp issued on Shaiv Mahotsav was released on the occasion. 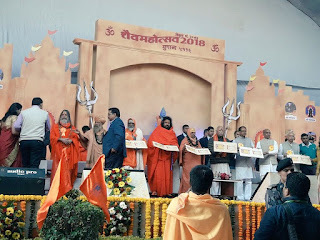 A grand temple of ‘Bharat Mata’ in Ujjain is dedicated to public on January 4, 2018 by RSS Sarsanghachalak along with Sadhvi Ritambara organized by Madhav Seva Nyas.